St John of God Berwick Hospital (SJGBH) is the new $120 million addition to what is quickly becoming one of Melbourne’s premiere health care precincts. 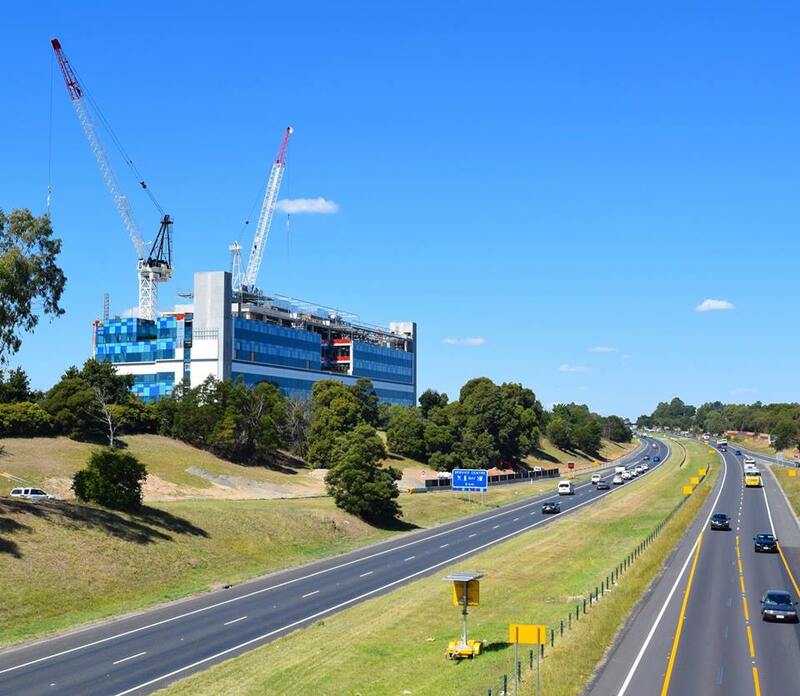 The Kangan Drive campus was envisioned to provide health care to the swelling populations of Casey and Cardinia, and will mark the second stage of a $150 million St John of God redevelopment project. Builder Hansen Yuncken has been contracted for an 80 week build that began in January 2016. Upon its completion, the hospital will feature all services from the original Gibb Street site, along with notable upgrades, expansions, and additions. SJGBH will allow the region to welcome its first Intensive Care Unit, as well as a dedicated Cardiac Unit and Vascular Catheter Laboratory. 190 new beds will achieve a total of 316, while the number of operating theatres will triple to 12. Alongside the operating theatres will be two endoscopy theatres, and six birthing suites. ESCO Industries has been vital in enabling SJGBH to achieve contemporary world class standards of health care. The now expansive services necessitate large quantities of custom designed equipment, with the new site alone to be fitted with approximately 500 purpose-built Esco Medical Service Panels (MSP’s) all populated with the Esco range of medical electrical and medical gas components. In addition to the MSP’s, Esco were proud to supply the development with other market leading products such as our Line Isolation Overload Monitors, Isolation Transformers, Body and Cardiac Protected Signage, Equipotential Junctions, and the full MediTek range of both standard and medical electrical switchgear and accessories. Completion of the redevelopment is anticipated for late 2017 and, together with Monash Health’s co-located Casey Hospital, will exemplify a new benchmark for regional healthcare.